There is no “one” best satellite dish. 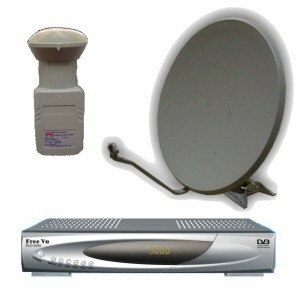 The best satellite dish for you depends upon several factors. The larger the satellite dish, the better it will receive signals. 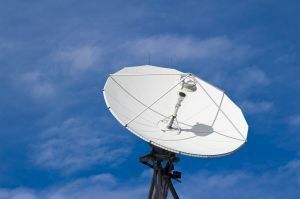 Therefore, the largest satellite dish available is always the best satellite dish — except that few of us want a nine foot satellite dish bolted onto our home. A satellite dish should be as small as possible, while still being large enough to deliver good signal quality. Closer to the equator, smaller satellite dishes work perfectly well. The closer you get to the Earth’s poles, the larger dish you will need to maintain an acceptable signal quality. Larger dishes are also better able to deal with rainfade. If you live in an area that is frequently overcast and rainy, a larger satellite dish can significantly increase signal quality. A round satellite dish can only receive signals from one satellite location at a time. The fix for this is to either use a small motor to position the satellite dish or to use an oval satellite dish. An oval satellite dish can receive signals from several satellite locations at the same time. 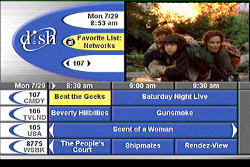 For example, the DirecTV AT9 MPEG-4 Compatible Ku/Ka Band satellite dish is designed to receive signals from the DirecTV satellites at 99, 101, 103, 110 and 119 degrees. Each LNB on a satellite dish will enable the reception of one data stream from one satellite transponder. The best satellite dish is usually the one with the most LNBs. I have a offset dish Gibertini ( 120 cm ),and i need a monoblock LNB 6 o .What do you suggest? 278 queries in 0.303 seconds.